Call 850-270-6977 today to schedule a consultation. My child’s father stopped paying child support. What can I do to make him pay? My children’s mother won’t let me spend time with them. How can I protect my rights as a father? If I file for divorce, will my wife get my retirement savings? If I file for divorce, will I get “full custody” of my kids? I have been served with divorce papers, what happens if I don’t respond? My spouse was the breadwinner in our family. Am I entitled to alimony? What if my spouse or I own a business? My husband/wife committed adultery. How will that affect the divorce? We have tried everything to make it work. Its time for a divorce. What should I do? I think my husband/wife is planning to file for divorce. What should I do? The Mother/Father of my children wants to move with them. What now? I will answer your questions and ease your mind. Divorce is a complicated process that can have a major impact on the emotional and financial lives of every member of a family that goes through it. When a couple divorces, it is a process that should be handled with care and attention to details. The implications can be lifelong. 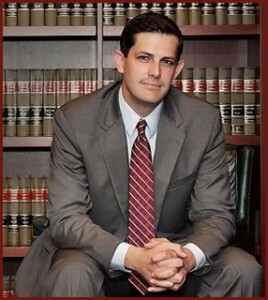 There are numerous factors to be addressed, including the division of marital property, developing a parenting plan (child custody arrangement), arranging primary parental responsibilities, and arranging a visitation schedule as necessary, claiming alimony or child support, defending a claim for alimony or child support, and relocating out of the area with a minor child. At the Law Office of Matt Liebenhaut, we guide our clients through the process in an effort to ease some of the difficulties that come with divorce. We will protect your rights and work hard to achieve your goals in negotiation or in the courtroom.